Learning how to properly edit your images is vital in a digital photography world. Although there are several programs to choose from for post production, we are going to focus on the use of Adobe Lightroom. Lightroom is a powerful tool that allows you to transform, adjust and apply quick fixes to your photographs. Let’s take a beginner’s look at how you can effectively use Lightroom for your post production workflow. Since we want to focus on editing with Lightroom, we will be using the Develop module to adjust and alter our image as we see fit. Once you pull up your image, you will see a bar on the right for making adjustments. These tools include lighting, color and sharpening. We will go through each module in more detail as we make edits to the image as seen below. This section allows you to adjust the settings that you see in the image. First, you can either apply color or black and white treatments. 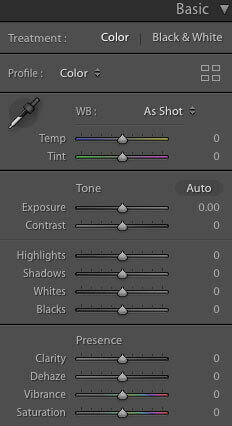 You can choose your color profile and adjust the white balance if needed, in only the cases of shooting RAW images will you be able to change the white balance profile to “As Shot” to another option such as Daylight or Shade. Then, you can move the temperature and tint in either direction for warmer or cooler tones. The exposure, contrast, highlights, shadows, whites and blacks controls are next and then followed by clarity, dehaze, vibrance and saturation. It is best to move the bars according to your intended look for the image. For this image, you can see the original on the left and the image with adjustments on the right hand side. By lifting values such as exposure and shadow, I aimed to brighten her facial features. The tone curve allows for further light based adjustments in the highlights, lights, darks and shadows in relation to the RGB color profile. 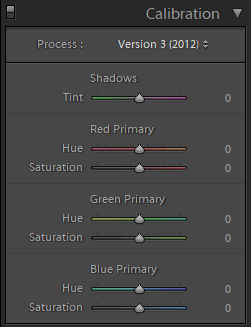 This means that this feature will allow you to manipulate the tones of red, blue, green or the entire RGB curve. With this tool you can adjust the overall color of your image by moving the points across the plane or by using the linear point curve. Using the tone curve on our sample image, I adjusted the blue tone curve in order to give a warmer tone to the photograph, lighten the hue of the blues and overall soften the colors. 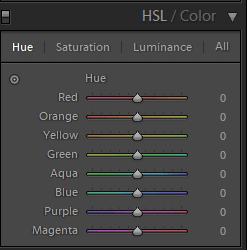 The next tool is the HSL/Color block. This feature allows you to alter the hue, saturation and luminance of the colors within the image – red, orange, yellow, green, aqua, blue, purple and magenta. This is the best way to achieve the color scheme of your image, but must be used sparingly and effectively with the other tools within the develop mode. Altering too much of one color could cause an adverse effect, so I would recommend using this tool last after you have made all other light and editing adjustments. On the sample image, I made small changes to the hues as seen on the right side panel. As I mentioned, this is an area that changes should be made with caution in order to balance the overall color of the image. I wanted my blues to be more aqua and my yellows to be more orange, so I moved both bars over to the left. 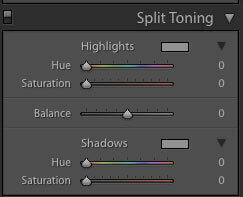 Split toning is the ability to change the color of the highlights and shadows within your image. You can use the color bar or the box located next to highlights and shadows to pick your color. After choosing the color, you will adjust the saturation by moving the bar to the right or left. The balance bar, located in the center, is used to balance the the highlights and shadows. In the center will give you an equal distribution of the hues, moving it to the left will focus heavily on the shadow tint and to the right will focus on the highlights. As I have already made color edits throughout the process, my split toning alterations were minimal. Because I want an overall warm, orange/yellow tone to my image – I added a light yellow highlight with a beige shadow. Pulling the balance bar to the left, I wanted the focus to be on the shadows rather than the highlights. Detail is used for sharpening and noise reduction within your image. These two tools are pretty straightforward and all depend on preference of the editor. As you move the bars, your alterations will be visible in the box above which shows a zoomed in sample of your image’s detailing. 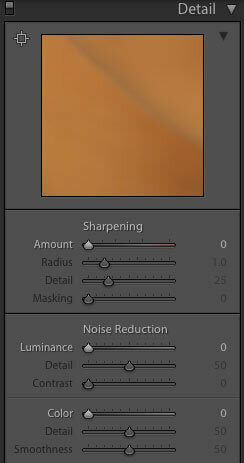 Note: Sharpening can also be done when exporting the image from Lightroom to your computer’s hard drive. Since I feel that this image is already pretty sharp, I added just a bit of additional detail by raising the sharpening to 20. If you are using your images for web, it is always best to have them be a bit sharper for various viewing methods. Lens Correction allows you to make adjustments of any distortions created by your lens. 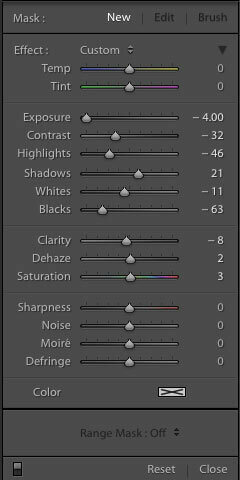 If Lightroom has your lens preferences available, it will appear in the make, model and profile boxes. 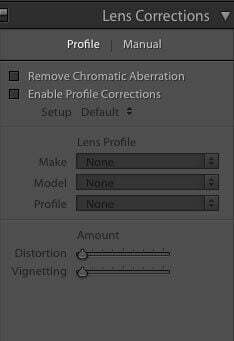 This will then automatically adjust the image when you mark the “Remove Chromatic Aberration” or “Profile Correction” box in order to fix any distortion or vignetting. 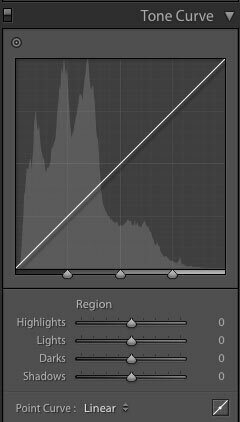 In the profile setting, Lightroom will adjust for you, but you can always make these adjustments yourself in the manual section. On our sample image, I enabled the profile correction to decrease vignetting. The lens profile for my Canon 50mm 1.8 lens was recognized and Lightroom made the necessary adjustment. The Transform tool is related to the horizontal and vertical aspects of your image. You can choose to use the presets – auto, guided, level, vertical and full – which are known to only sometimes work seamlessly. In other cases, you can always use the straightening tool which we will discuss later. Additionally this setting allows you to transform the image with options such as – vertical, horizontal, rotate, aspect, sale, x offset and y offset. Some images may not need these adjustments, but it is best to test these out and see which works effectively for your photograph. Since I feel that this image is already proportional and straight, I did not use this section on our example image. Effects is a module that is used for unique and specific effects based on the photographer’s preference. Here you can add more vignetting, the black shadows that frame an image, by increasing the amount and altering the midpoint, roundness, feather and highlights. Additionally, the effects section is where grain can be added to achieve the film look for your images. You can adjust the amount, size and roughness you want by moving the bars left or right. As with the transform tool, I did not use the effects panel on our image as I had already adjusted vignette and did not prefer to add grain. The last aspect of the develop module is the calibration feature. This is where you can adjust overall tones of the image. In this section, you must be wary of the changes you make as red, green and blue all have varying effects on one another based on the specific hue and saturation. If there is one area of the develop section you should test with trial and error, it would be this one. It is highly effective in creating the ideal tones, but can also heavily alter aspects such as skin color. In the last step of editing the image, I adjusted the red, green and blue primaries. My intention was to fix her skin tone, which I felt was starting to look more red than her natural brown tone. As I mentioned above, this section requires trial and error in order to achieve a balance between the overall color palette and maintaining the subject’s natural skin tone. The final four tools that are available for use in the develop mode are the crop, brush, red eye correction and masking tools. Crop is a simple way to adjust the size and straighten your image. 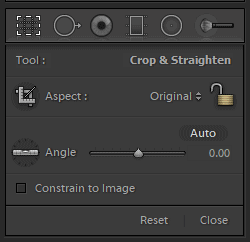 You can use the preset crop options or you can create your own by dragging over the image. The straighten ability is noted as angle and best to use when the auto straighten feature cannot automatically fix the image. The Brush Tool is used when you want to fix imperfections or blemishes. You have the option to clone, which means you will replace your targeted area with another piece of your image – this is usually best for skin edits or replacing the background. The heal option is very similar, but does not always replicate another section to be replaced. I find that these tools can be helpful for a few imperfections, but that these types of more complex edits are best done in Photoshop. Red Eye is used for correction any red or distortions found in the eyes of your subject. 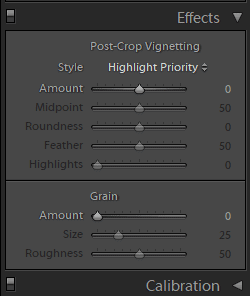 Simple enough to use, you drag and highlight the specific area to be corrected and Lightroom adjusts accordingly. The last tool is masking. Masking can be a bit complex and used for various situations depending on the adjustments needed by the photographer. An in-depth tutorial would be necessary to explain masking, but the overall intention of the tool is to adjust based on a specific, selected area. For example if you want to brighten up your subjects, but keep the background lightning the same – you would create a mask over the figures and adjust using your toolbar. There are three masking options – the graduated filter, radial filter and brush stroke – each are unique and dependent on what you want to mask and adjust within your image. 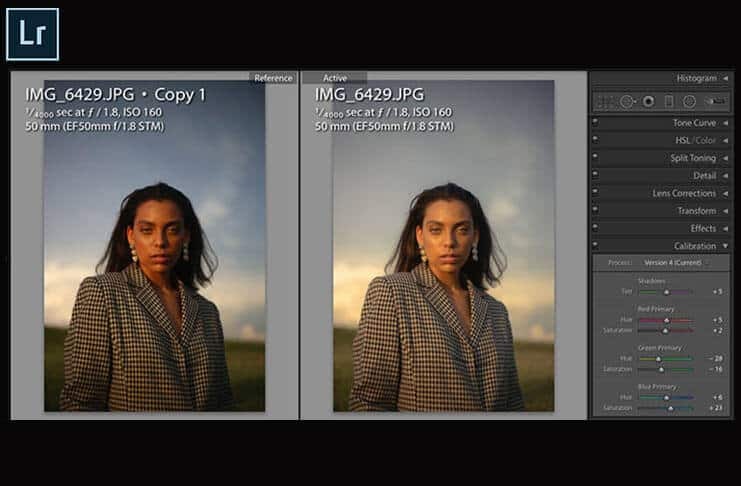 Once you have understood the process of making adjustments to your images, you may feel more comfortable by creating or using specific presets. A preset is made up of the image adjustments and saved within a file format in order for you to add easily during your post production. Once you pull up your image – you will choose your desired preset and those adjustments will be made – one click and done! 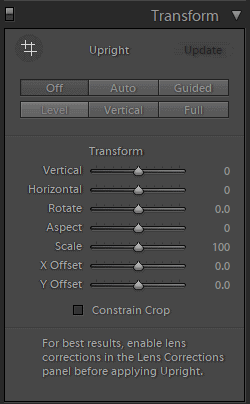 You can create your own presets by making all of your desired adjustments to the image, clicking Command C (for Mac) to copy the settings and navigating to the + under the presets tab. 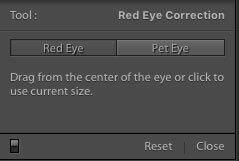 You will create a new preset with your settings, name it accordingly and will now be found under “User Presets” for future editing. You can also purchase and download several options of presets by doing a simple Internet Search – many photographers will sell their own in order for you to achieve their specific style. Presets are best used once you have fully mastered Lightroom and are ready for a time-saving way to edit your images. Lightroom can appear daunting when first starting off in post production. Yet, after some trial and error, you will be able to utilize the tools to your fullest editing capabilities. Lightroom is a powerful and time efficient program that is necessary for any and all photographer’s editing workflow. Interested in learning more about Adobe Lightroom? Try a premium Lightroom photo editing class from Udemy. Lightroom Photo Collages – Create Directly in Lightroom!